As “Asia’s World City,” Hong Kong has long billed itself as one of the most vibrant and dynamic cities in the world. However, quite contrary to what its branding suggests, the city faces serious challenges of urban poverty and social inequality. It is proven of late with the “Gini Co-efficient”, or wealth distribution reading, reaching a high of 0.537. This figure makes Hong Kong among the most inequitable cities in the developed world. In 2015, over 1 million people were reported living in poverty. Even worse is that preceding inequalities, stigma and stereotyping has further created barriers to social mobility and increased the poverty rates of various vulnerable groups. Luckily, there are many NGOs that help address the underlying cause of social inequalities in Hong Kong. One of them is the Society for Community Organization (SoCO), a non-governmental social services organization that helps to mobilize disadvantaged social groups in Hong Kong. Every year, SoCo works with a Hong Kong photographer to organize a photo exhibition on a chosen issue effecting a particular community. 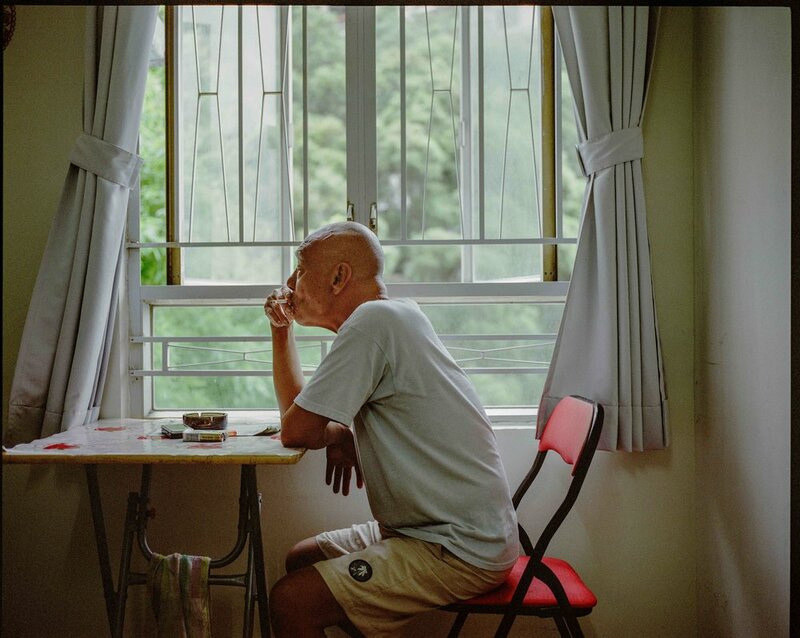 In 2016, SoCo worked with photojournalist Lam Chun Tung to document the everyday lives of former prisoners. All too often, ex-offenders are perceived as problematic by the public as well as the media. Such stereotypes create barriers to future employment and other support services needed to reintegrate into society. The photography project titled “Confession” documents the lives of 18 prisoners and ex-offenders. The project aims to inspire a greater understanding and acceptance of those who had served time in prison, and promote rehabilitation and integration. Lam took a more subtle and quiet approach in his photos, capturing the loneliness and isolation of ex-offenders. “Of course, some ex-offenders struggle to find work after they’ve been released. However, what’s worse is that most ex-offenders could not overcome self-stigmatization. Most of the former inmates I’ve come in touch with do not have strong social ties with other members of society. They generally have a self-perception of guilt and shame that hinders them from re-entering society. It forms an invisible trap they could not escape from, but it’s difficult to solve it,” says Lam. Apart from ex-inmates, SoCo had also held photography exhibitions that explore housing problems, the effects of mental illnesses, and underprivileged children in Hong Kong. Some may be shocked to learn that, in fact, Hong Kong is not as “international” of a place as advertised. According to the 2016 by-census, 92 per cent of the Hong Kong population is ethnic Chinese, and only eight per cent are other ethnic groups. Many ethnic minorities feel shut out of Hong Kong’s political conversation and economic opportunities. In 2015, Lam collaborated with Unison, an NGO committed to serving ethnic minority Hong Kong residents and their families. Together, they organized the “She Says” exhibition, which focused on women of ethnic minority living in Hong Kong. Through a series of portraits, the exhibit aimed to empower women and help break stereotypes of visible minorities. “Not a lot of people are aware of ethnic minorities communities in Hong Kong. In my opinion, women are the minorities within minorities. Some women are not allowed to be on camera due to their religion or their cultural customs. I want people to recognize that we are all the same when we look beyond our differences in race, religion, customs, and languages,” said Lam.